Hacker Games: ‘Cause “Coding” is Cool! 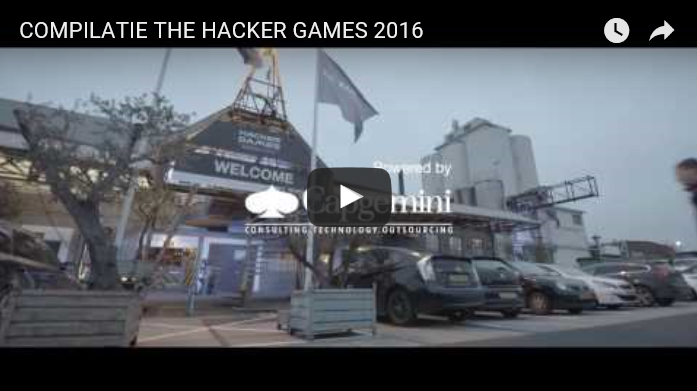 The last four months, only one thing has been on my mind – our hack challenge: The Hacker Games! This hackathon, organized by Capgemini Nederland, was the biggest of its kind in the country and brought together over 400 engineering enthusiasts from across 15 different countries. Not sure what I’m talking about? Or, do you want to relive the moments? Here’s a look at some of the action! Our hack challenge was about having fun, challenging oneself, and working with others. My advice to all participating teams was to not be afraid to fail, because they would probably learn something valuable along the way. Creating useful products in a short period of time is a big challenge, but the junior and senior engineers at the Hacker Games did a great job. And we need more of them! There is a specific need for good engineers in the world. The Netherlands is a frontrunner in the engineering community; and we would like to contribute to this global requirement. We want to show everybody how cool it is to work at Capgemini and to code. Parallel to the hackathon, a dynamic meet up (CxO event) with qualified executives and local leaders also took place at the Fabrique, where our thought leaders spoke about Cloud & Api, Blockchain, DevOps, and IoT. In a world where everything is connected, it’s important to network and collaborate with other frontrunners. Our partnerships are of great value and during these kind events we really reap the fruits of our collaborations. The presence of IBM, HP, Microsoft, Huawei, Dell EMC, Domino’s, De Vries en Partners, and Young Creators made the event at the Fabrique even better. They helped organize the event and provided cool prizes, APIs, pizza, fun and state of the art hardware, like a 3D race simulator, Parrot Drones, Bluemix Foosball Table, IBM’s Watson Candy Machine, Xbox area, a Surface Hub, the IBM’s creativity corner – and what not! At the opening ceremony, over 400 people sat in anticipation of the events to follow. Our host Frank Wammes welcomed us and introduced the first keynote speaker, Michel Splint, IBM’s manager Developer Ecosystem & Startups. His refreshing presentation titled ‘2017 is the year of cognitive development’ showed that the sky is the limit. Our second keynote speaker, Danilo Poccia, is a Technical Evangelist at Amazon Web Services who works with start-ups and companies of any size and supports their journey to the cloud. At The Hacker Games stage he impressed us with a ‘live hacking experience’. Technical flaws included. Which was pretty cool! The best feeling of the day was the moment that all the teams set off, scouring for a table to place their possessions and begin working on the product – app, solution, or tool – they wanted to build. The atmosphere that was set for the event was very pleasant. What was our role? We made sure that all teams find help whenever they got stuck. We really pulled it off and I enjoyed every minute of it. I think comfortable sleeping arrangements, 24 hours access to food and beverages, coaches always willing to help were the key ingredients for our success. Big kudos for the judges, who really helped the participants with their work and problems that had – in some cases – nothing to do with the products of any of their respective companies, which is an act I appreciate enormously! And the winner is…. Team P.A. The presentations of teams ‘Dave where’s my stuff’, P.A., and Smart Doorbell went smoothly. Team P.A. won a spectacular trip to Silicon Valley where they will visit leading firms and cool start-ups. Amongst other prizes, were a year’s supply of Domino’s pizza, an OMEN Headset, Huawei smart watches and Mac minis. Team P.A. crafted a solution in which by keeping track of your daily morning routine and your travel time (including prediction of travel and/or train delay) your alarm-setting could change in order that you can get enough sleep (or as much as possible). It was a really smart solution that was created using just a couple of API’s, and really showed the true potential of APIs! I hope they enjoy their trip to Silicon Valley!